The hub of Turkish manufacturing industry, the northwestern province of Kocaeli exported goods to 159 countries worth $2,2 billion in the first two months this year. 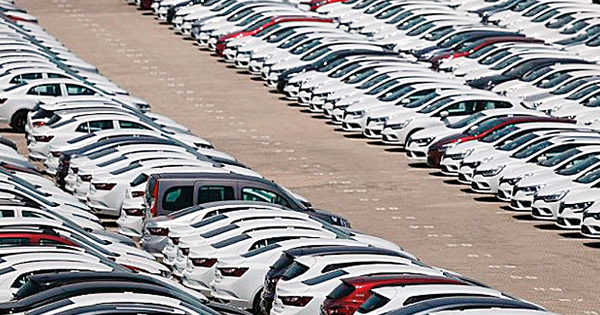 In this period, half of the total exports shipped by the city achieved by the automotive sector increasing its rate 37.3 percent over the same period previous year. According to the data from Turkish Exporters Assembly (TIM), the northwestern province of Kocaeli hit exports high in terms of February months with worth $1 billion 236 million 415 thousand. Thus, being worth $2 billion 39 million 423 thousand in the first two months in 2017, the exports of Kocaeli increased 8.7 percent to $2 billion 217 million 493 thousand in the same period this year. Ranging third following Istanbul and Bursa in the Turkish export league, Kocaeli exported to 159 countries that accounted for 8.8 percent of the overall country exports in the first two months this year. Hosting Ford Otosan, Hyundai Assan, Honda Turkey and Anadolu Issuzu plants as well as the automotive supplier industry firms, the city’s performance in this sector drew attention. The exports of $1 billion 119 million which accounted for 50.5 percent its total exports were accomplished by the firms operate in the automotive industry. In January-February 2018, featuring the most exporting province, Kocaeli’s performance in the automotive sector raised 37.4 percent. The chemical matters and productions sector ranked second in the exports of Kocaeli which shelters Fuel Oil Transformation facility processing nearly 4,5 million crude oil per annum at the Izmit Refinery of TUPRAS having capacity utilization of 11 million tons. The chemical matter exports of the city recorded as $537 million 792 thousand in this period. Nonferrous and steel metals ranked third with $137 million 300 thousand of the city exports, this followed by steel exports with $115,3 million, electric-electronic exports worth $81 million, acclimatization exports reached worth $70,4 million respectively. January-February 2018, the most export goods were shipped to the UK. The exports to this country increased 15 percent to $265,3 million over the same period last year. One of the 5 biggest economies of the world, and locomotive of the European Union, Germany became the second country in the exports of Koaceli increasing 33.9 percent to $188 million. The exports from the city increased 70.7 percent to Spain to $155 million, this followed by the exports shipped to France with $154 million, Slovenia with $142,3 million.